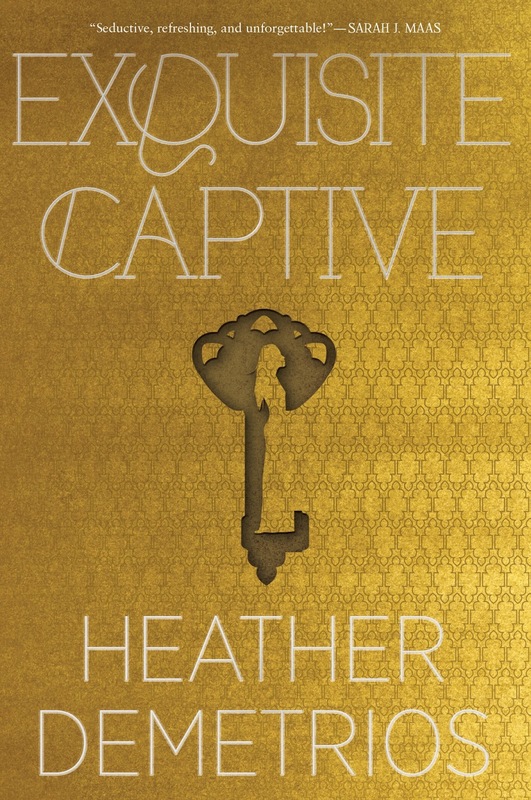 It brings me great joy to be welcoming Heather Demetrios to the blog today! I've read every single book that she has released so far, from her impressive contemporaries (Something Real and I'll Meet You There) to the first novel in her Dark Caravan Cycle (Exquisite Captive). 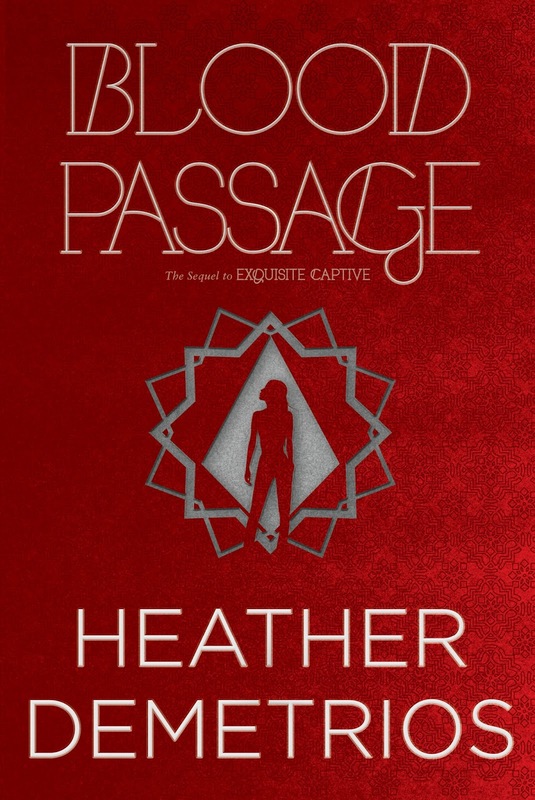 I've been eagerly anticipating the sequel, Blood Passage, and I'm happy to be announcing it's now officially coming out March 1 (!). That's not all - I'm also getting the opportunity to show you the redesigned book covers today, along with other members of the Blogger Caravan. Before we get to the reveal of these brand spanking new covers, check out my mini Q&A with Heather about the Dark Caravan cycle. She talks about her research, her favorite character (to write) and what kind of jinni she'd want to be based on the castes in her book. Alexa: Welcome to the blog, Heather! 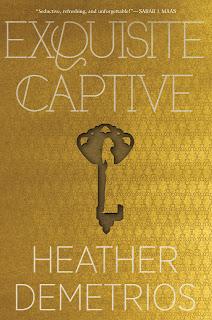 Okay, so, tell us all about what you did for research in order to make the details in Exquisite Captive (and I'm sure in Blood Passage, too) come alive so beautifully. Heather: I did a lot of research on jinn lore, and when I saw that much of it centered around Moroco, I traveled there to do research for Blood Passage. It was so much fun getting to go explore this amazing country knowing I was going to transform it into this vibrant jinn world. Alexa: I would love to visit Morocco one day! But for now, I'll settle for reading Blood Passage and visiting it through your words. Now, there are plenty of characters in your novel, and I wanted to know: who is your favorite character to write and why? Heather: Malek. I just love a bad boy. I actually think of Blood Passage as his book. He's a POV character now, and we learn so much about what makes him tick. I love writing his voice - he has such a particular lens through which he views the world. And, even though I know I shouldn't, I totally have the hots for him. I just finished book 3, though, and that one is Raif's book. I loved getting to know him better. He's pretty amazing - a total heartbreaker. Alexa: I'm honestly just eager to get to know them both a little bit better, to really get into their heads, so it's exciting to hear that you feel like each of them gets a book. Now, in your series, there are different jinni castes and each possesses different abilities. Which caste would you belong to if you were a jinni in your series? Heather: I'd probably be a Djan, one of the poorer castes, because I grew up kinda broke. But wind is my favorite element, and that belongs to the Shaitan, the caste of slave owners, but also of scholars and artists. So, I'd want to be a non-slave-owning Shaitan. There aren't any writers among the Djan, since they're denied an education. Alexa: That makes sense to me, for you to be Shaitan, since you're definitely an artist with words. And with that, my questions are done! Thanks for visiting the blog, Heather. Nalia is a jinni of tremendous ancient power, the only survivor of a coup that killed nearly everyone she loved. Stuffed into a bottle and sold by a slave trader, she’s now in hiding on the dark caravan, the lucrative jinni slave trade between Arjinna and Earth, She’d give almost anything to be free of the golden shackles that bind her to Malek, her handsome, cruel master, and his lavish Hollywood lifestyle. Enter Raif, the enigmatic leader of Arjinna’s revolution and Nalia’s sworn enemy. He promises to free Nalia from her master so that she can return to her ravaged homeland and free her imprisoned brother—all for an unbearably high price. There’s just one catch: for Raif’s unbinding magic to work, Nalia must gain possession of her bottle…and convince the dangerously persuasive Malek that she truly loves him. Battling a dark past and harboring a terrible secret, Nalia soon realizes her freedom may come at a price too terrible to pay: but how far is she willing to go for it? What do you think of the new covers for this series? 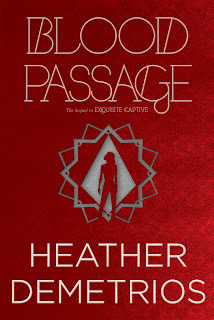 Blood Passage by Heather Demetrios was first published September 24th 2015.its my best book and the Heather Demetrios is my favorite writer.